It’s been a busy genealogy week this week. MyHeritage has made changes to the DNA and as a result, I have uncovered more cousins on my Jeffery and Norton lines. Returning the focus to my Stewart family and Amy Johnson Crow’s #52Ancestors challenge, I will look at a census record from Minnesota. In the 1880 census David and his brother William were ‘batching’ it in Manannah, Meeker Co., Minnesota, also known as Eden Valley. Next door to them was their sister Margaret and her husband Michael Cody. The Stewart men state their occupation as farm laborers and I imagine them dreaming of owning their own farms. Year: 1880; Census Place: Manannah, Meeker, Minnesota; Roll: T9_626; Family History Film: 1254626; Page: 221.3000; Enumeration District: 50; Image: 0168. The census information always needs to be taken with some skepticism. This census has a column for the birth locations of parents and although their mother is listed correctly as having been born in Ireland, their father, is given the same birth location but he was actually born in Scotland. The Stewarts weren’t the only ones who left Grey County, Ontario for the States there is a large number of names on this and subsequent censuses that I recognize. A brief mention by MaryJane McIntee mentions that the Stewart men had settled in the States to work on the Northern Pacific Railroad. David and William Stewart did eventually purchase land in Manannah, so a success for them and their families. The Stewart family after spending roughly 30 years farming next to each other, all went their separate ways. 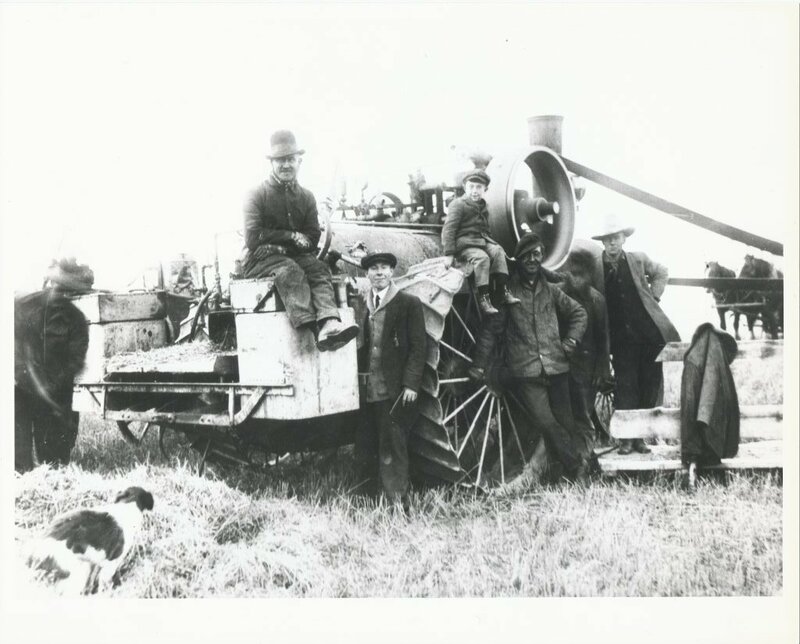 David took his family and with his half-brother, John McGowan moved to Saskatchewan. William Stewart and his family went to Jefferson County, Montana and ran the County Poor Farm. 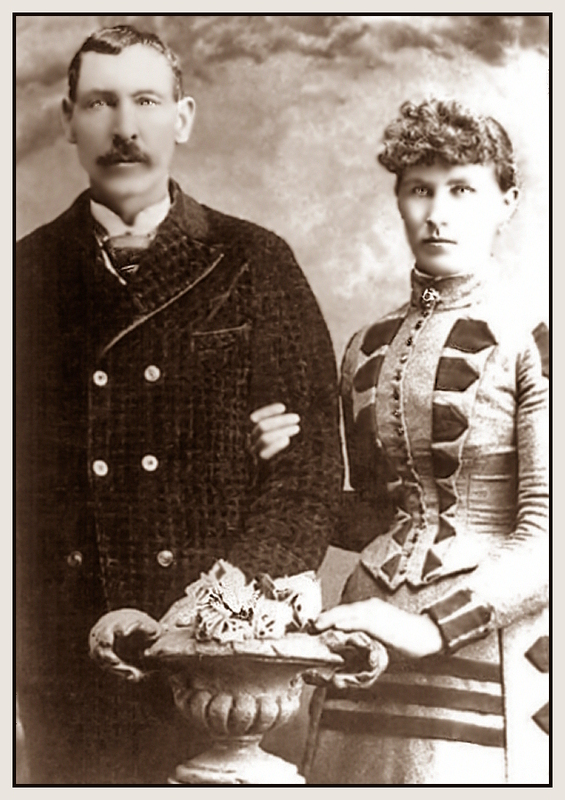 The Cody family moved to Helena, Montana and the McIntees also moved to Montana. Challenge met, and now back to looking at DNA matches, waiting for replies, working on the Stewart book and anything else that keeps me from my regular duties! 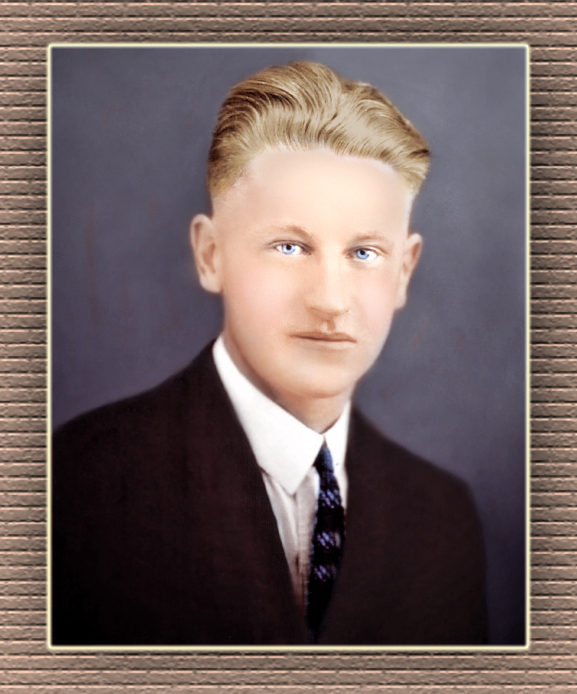 James or Ray as he was known was born 1900 in Manannah Twp., Meeker Co., Minnesota. 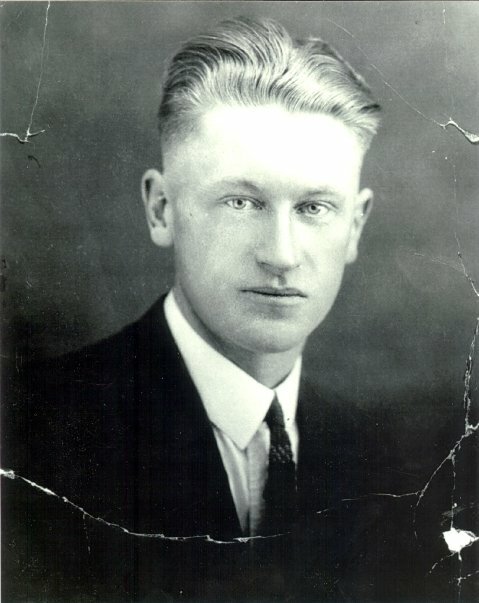 His father David first settled in the area as a young man and travelled north to Canada to marry Bridget McMahon who lived in the same community he had before leaving Ontario. James had quite a journey in store. He was the 7th child born to David and Mary and a few short months after his birth he travelled with his family to their new home in Yorkton, Saskatchewan. This journey today is 662 miles and takes about 10 hours, travel in 1900 would have taken quite a bit longer. Ray’s dad David was a farmer and his boys grew up knowing farm life. At the Stewart farm in Yorkton, SK. Ray lost his mother when he was 12 which left his older sisters to care for him. Ray knew that having two older brothers he would have to make his own way, he adventured off to the Peace Country in Alberta and liked what he saw. This prompted him to file for a homestead, then travel back to Saskatchewan to gather up his meagre supplies. His goods arrived by train in 1927 and Beaverlodge was now home. Ray spent the rest of his life in the Beaverlodge area, where he raised a family and worked hard to provide for them. It wasn’t always easy, they lost their home to a fire and finances were always struggle. He had a positive attitude and a generous heart. James died in 1990 surrounded by his family. 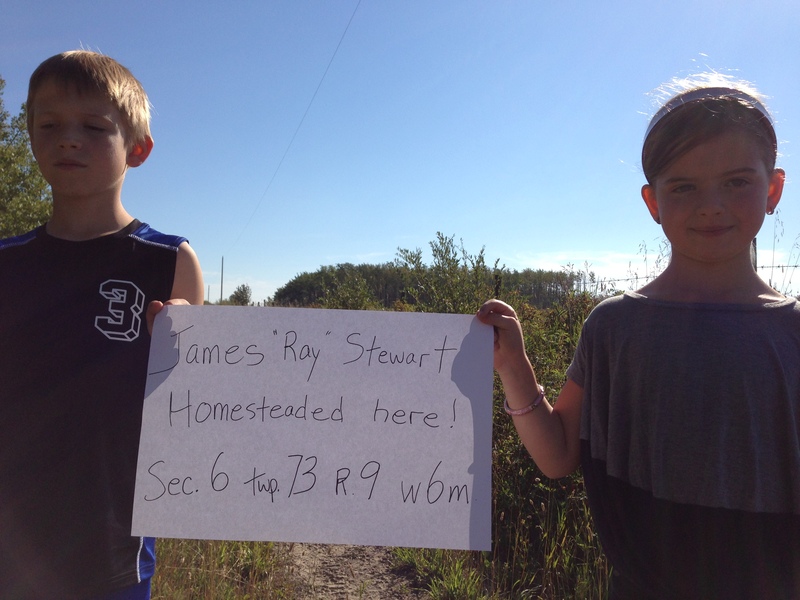 My children standing on the location of Ray Stewart’s homestead.